Scott Baker, an Oregon State University conservation geneticist and cetacean specialist whose work was featured in the Academy Award-winning documentary, “The Cove,” has been named one of four 2011 Pew Fellows in Marine Conservation. For most Americans, eating a relative of Flipper or Keiko would be as unthinkable as dining on Lassie or Smokey Bear. But in some seafaring cultures, dolphins and whales are traditional foods, sold in supermarkets right alongside the fish fillets and beef cutlets. The sale of meat from whales and dolphins accidentally drowned in fishing nets or left over from “scientific” whaling operations is allowed in some countries as “exceptions” to the international moratorium on commercial whaling. Trouble is, neither customers nor enforcers eyeing the packages of fresh or frozen steaks or stew meat can distinguish a minke whale taken in the scientific whaling program from, say, an illegally killed gray or humpback whale. That’s where Scott Baker comes in. The OSU conservation geneticist is one of the world’s foremost experts in using DNA to identify specific populations of cetaceans — whales, dolphins and porpoises — and thereby detect the unlawful sale of protected species. Baker travels frequently to Japan and South Korea, where he holes up in cramped hotel rooms in Tokyo or Seoul with his portable genetics lab, listening for a knock at the door. When the secret code is tapped out, he cracks open the door and a local collaborator, who has been covertly trolling grocery stores and sushi bars, furtively passes him a bagful of bloody meat for analysis. This cloak-and-dagger science was documented in the Academy Award winning eco-thriller The Cove, in which Baker was cast (see sidebar). Height, as everyone knows, is an advantage in basketball games and presidential elections. But in marine science? Surprisingly, it can be — at least at New College of Sarasota, Florida. For a pioneering dolphin study launched while he was a student there, Baker’s 6-foot-4-inch stature gave him an edge over his shorter classmates. That’s because he could stand in the shallow waters of Sarasota Bay, his head well above the surface, while helping to use a seine net for the capture and release of wild dolphins. “The researchers tended to enlist tall undergraduates for the hard work,” Baker says, laughing. As a kid in Alabama, Baker vacationed on the Gulf Coast every summer with his dad (an electrical engineer and decorated veteran of Omaha Beach and the Battle of the Bulge) and his mom (an activist and humanitarian in the nuclear freeze movement and many other causes). “When you live in a place like Birmingham, the Gulf of Mexico is sort of like paradise — except for the mosquitoes and sand flies and jellyfish,” he says, grinning. The Gulf was where he first became intrigued by dolphins. But it was in that shallow Florida bay as he wrapped his arms around individual bottlenoses to process them for the study — weighing, measuring, tagging, drawing blood, taking tissue samples — where the animals etched a deeper impression on his psyche. Describing himself as “not terribly sentimental,” Baker nevertheless admits to being charmed by the joie de vivre of dolphins. Whales, on the other hand, are hard to relate to. He calls them “extremophiles,” a term borrowed from deep-ocean biologists who apply it to such exotic creatures as cold-seep tubeworms and giant hydrothermal vent clams — organisms that live in Earth’s most extreme environments. Not only have whales shed such basic mammalian characteristics as hind limbs during their evolutionary history, they can dive as deep as 5,000 feet, live as long as 200 years and travel as far as 6,000 miles during annual migrations. During discussions of cetacean genetics, Scott Baker’s train of thought passes through a hundred switches, side rails and branch lines, diverging down one surprising aside after another. For him, everything in biology is connected to cetacean genetics. Ask him about genetic diversity among whales, for instance, and he’ll tell you a story about cheetahs — a story with an Oregon angle, no less — from a Scientific American article that strongly influenced his early career. At Southern Oregon’s zoological park, Wildlife Safari, cheetahs were mysteriously dying of a common feline virus that causes only sniffles in housecats, suggesting a weakness in the big cats’ immune systems. The resulting gene-pool study by U.S. National Cancer Institute scientist Stephen O’Brien piqued Baker’s curiosity about the impact of genetic “bottlenecks” (large die-offs in a population caused by natural or human forces, such as the intensive whaling during the 19th and 20th centuries) on long-term species survival among the great whales. Ask Baker about the human bond with wild animals, and he’ll engage you in an exploration ranging from the philosophy of Descartes to the methods of Jane Goodall to the quantifiable self-awareness of pigs, chimps, crows and (of course) dolphins. If you venture into the topic of evolution, you’ll dive with him into the Eve Hypothesis (the theory that all humans share DNA traceable to the emergence of Homo sapiens sapiens in Africa about 200,000 years ago), take a detour into Mendel’s peas, then veer from Darwin’s (mistaken) hunch that whales evolved from bears to the current scientific thinking: Today’s oceanic behemoths had a hoofed, hippo-like ancestor. If you’re still with him, you’ll careen around a hairpin turn, returning to the origins of modern humans to look in on the late pioneer of molecular evolution Allan Wilson of UC Berkeley, who discovered the “molecular clock” (using genetic mutations to date evolutionary changes). By this point in the conversation, your brain will probably verge on overload. But Baker is just getting warmed up. As he talks, he frequently jumps up from his seat to scan his bookcase for a relevant article, or swivels to his computer screen to pull up a DNA barcode or digital map showing worldwide distribution of humpbacks, which he has studied since his years as a Ph.D. student at the University of Hawaii. He’s at his most animated when talking about those early discoveries — such as one stunning, predawn revelation in a darkroom where he was developing “autoradiographic” images of humpback whale DNA. These were some of the first “DNA fingerprints” derived from small skin samples, which Baker had collected with a biopsy dart fired from an inflatable research boat in Southeast Alaska’s Inside Passage and Central California’s coastal waters, as well as in Hawaii and the Gulf of Maine. (Previously, whales and dolphins had been ID’d photographically by natural markings on their fins, flukes and flippers.) The finding he made that night in 1988 was a breakthrough in the just-emerging field of molecular ecology — using molecular markers for clues to relationships among individual whales and the ancestry of populations. These population-level variations in DNA, which geneticists call “fixed differences,” pointed to ancient migration pathways swum again and again and again over tens of thousands of years. The black-and-white barcode he stared at that night supported his hypothesis that migratory routes from winter calving to summer feeding grounds had persisted for hundreds of generations — in other words, across evolutionary time. Biologists call this enduring continuity “maternally directed fidelity,” that is, patterns taught from mother to calf and reflected over eons in mitochondrial (maternally inherited) DNA, which scientists denote as mtDNA. In the two decades since, Baker’s research has confirmed, in convergence with the work of other scientists, that these patterns are shared by many marine megafauna (animals that range from big to gigantic). Although the patterns show up in the mtDNA of geographically related whales, Baker cautions that the routes themselves aren’t inherited genetically. Rather, they’re taught from mother to calf. Baker’s earliest humpback work is being greatly expanded in a pair of international studies called SPLASH (Structure of Populations, Levels of Abundance and Status of Humpbacks) in the North Pacific and SORP (the Southern Ocean Research Partnership) in the South Pacific. Cetacean geneticists worldwide are loading up their crossbows and veterinary capture rifles with state-of-the-art biopsy darts, collecting skin samples from humpbacks in every ocean. They’re seeking deeper insight into humpbacks’ complex population structures and substructures. If science can reveal whales’ molecular mysteries, Baker says, conservationists can make more compelling cases on behalf of fragile populations. The Antarctic minke whale debate is one such conservation issue now under scrutiny. The controversy centers on some of the smallest and some of the largest ocean life forms: tiny crustaceans called krill and baleen whales that feed on them by the billions. Some scientists argue that mass slaughter of blues, fins, humpbacks and other giant filter-feeders during the commercial whaling era left a teeming surplus of krill, particularly in the Southern Ocean. With less competition from behemoths like the 100-ton blues, they suggest that the relatively diminutive 10-ton minke has experienced a population explosion. But Baker and his colleagues recently questioned this “krill surplus” hypothesis. An analysis of genetic diversity suggests that in fact, today’s 600,000 global minke population has remained relatively stable over deep ecological time. The finding, published in Molecular Ecology earlier this year, should help counter pressure from pro-whaling countries to “cull” minke, Baker says. Even without an official OK for taking more minkes, whale hunters and fishermen already are killing hundreds of protected animals under the radar, Baker has found. DNA taken from whale meat samples purchased in Korea over a five-year period recently revealed that 800-plus individual minkes were butchered and sold — nearly twice as many animals as were reported to the IWC by the South Korean government. Most were members of an endangered coastal population. 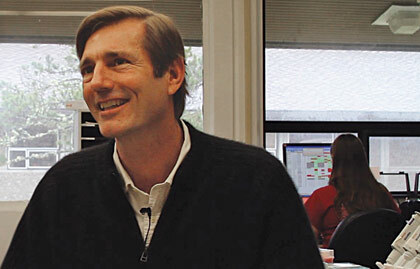 Scott Baker was named one of four Pew Fellows in Marine Conservation in April 2011. To support research in the OSU Marine Mammal Institute, contact the OSU Foundation, 800-354-7281.